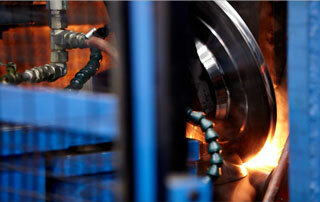 Welded Tube is a privately owned leader in steel pipe and tube manufacturing. We take pride in offering the highest level of quality and service. Our success has been possible through our number one asset: the Welded Tube team. We employ more than 700 employees across Canada and the US. Our goal is to attract and retain the best talented, reliable and motivated individuals who are committed to upholding the standard of excellence Welded Tube has come to be recognized for by our industry. We offer a safe working environment with the opportunity for career growth and development, along with a competitive compensation and benefits package. Are you ready to be part of Welded Tube’s professional, world-class team? Apply today! If you’re interested in applying for any of our current job openings, please send an email with your cover letter and resume to hr@weldedtube.com.